Do you like Kababs, I love them. I made this once jobless new year. 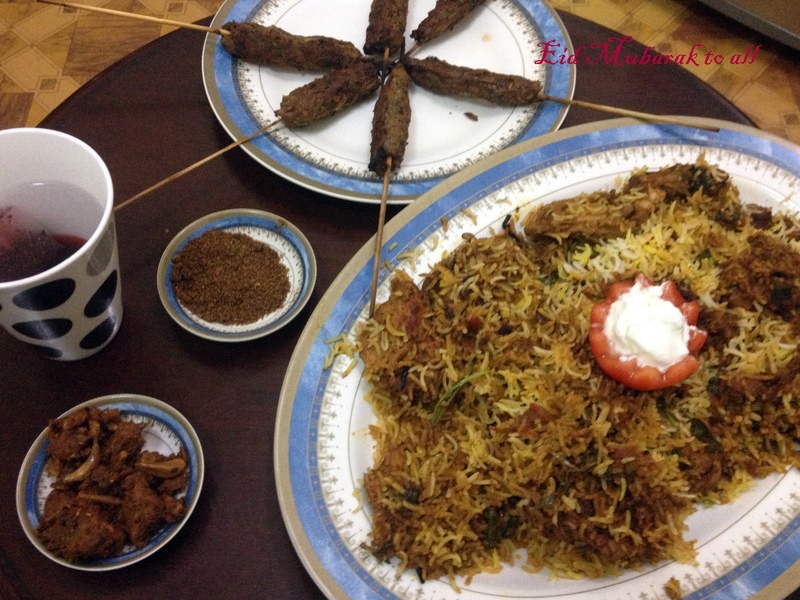 I was home alone in Qatar, while my husband was in India. To make time pass on new years eve I made these, they were lovely… Of course I ate most of them myself, but the few I took to school on the 3rd of January was a big hit with my colleagues. I hope you will try this and let me know how it was. Red chilli flakes – 1/2 tsp. Garlic paste – 1/4 tsp. Ginger paste – 1/4 tsp. Fresh coriander leaves – 2 tbsp. 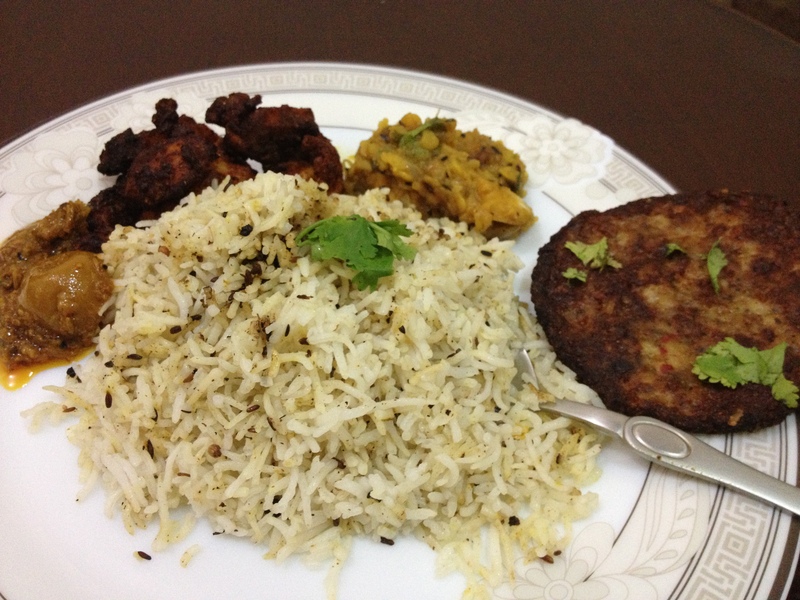 My new year lunch Jeera rice, chapli kabab, Dal fry, chicken fry, and lemon pickle. Heat a small non-stick frying pan with 2-3 inches of oil, shape the patties flat and round. Fry them on high heat first then lower the heat to medium low and continue cooking the kababs until the color is nice and dark. Turn them over carefully and cook the other side. Try not to crowd the pan, it will be easier to turn if you do 2-3 at a go. Remove and drain on kitchen towels. Drizzle some lemon juice on them before serving. 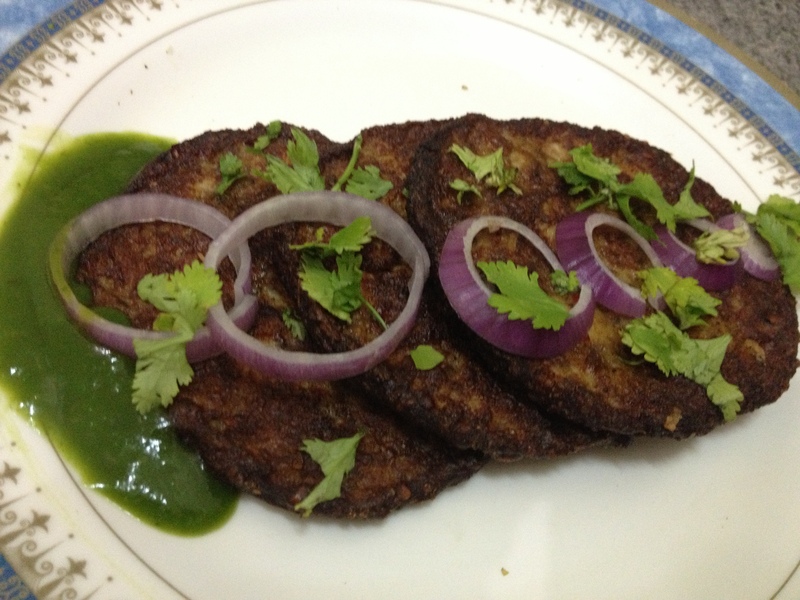 Serve with onions and mint chutney. 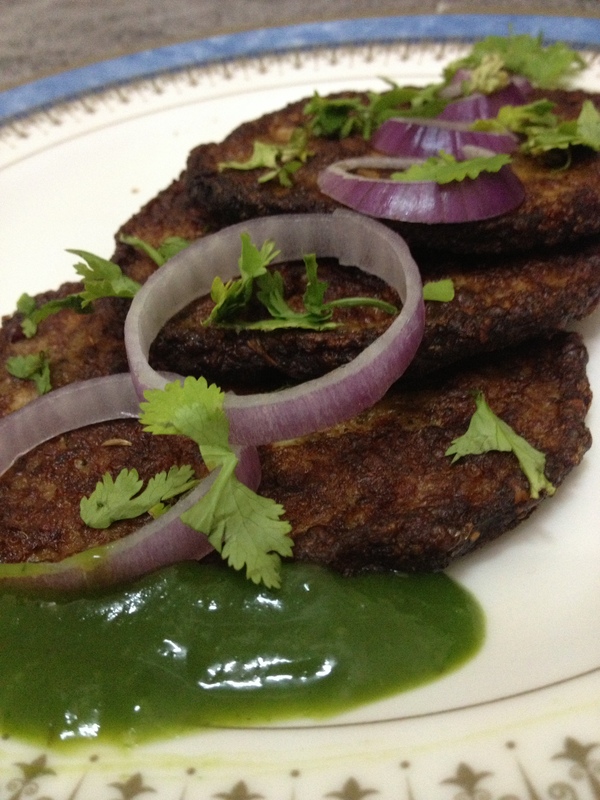 These Kababs are to die for, soft, succulent, pieces of non veg heaven. This recipe is from Ria’s Collection. Less talking not, so onto the recipe. I am copy pasting her recipe verbatim from her site for my convenience. But I really believe you guys must take a dekko at the original recipe here, if not for anything else at least to ogle her photos. Thanks Ria for the awesome recipe. This is a keeper. Today, I have for you a very simple recipe. So simple, with a bit of planning. It is a vindaloo, a channa- aloo vindaloo. I have never heard of a vegetarian vindaloo, but I guess there is always the first time. It’s simple and tasty. All you need to do is remember to soak the channa the previous night. Once that is done the rest is cakewalk. 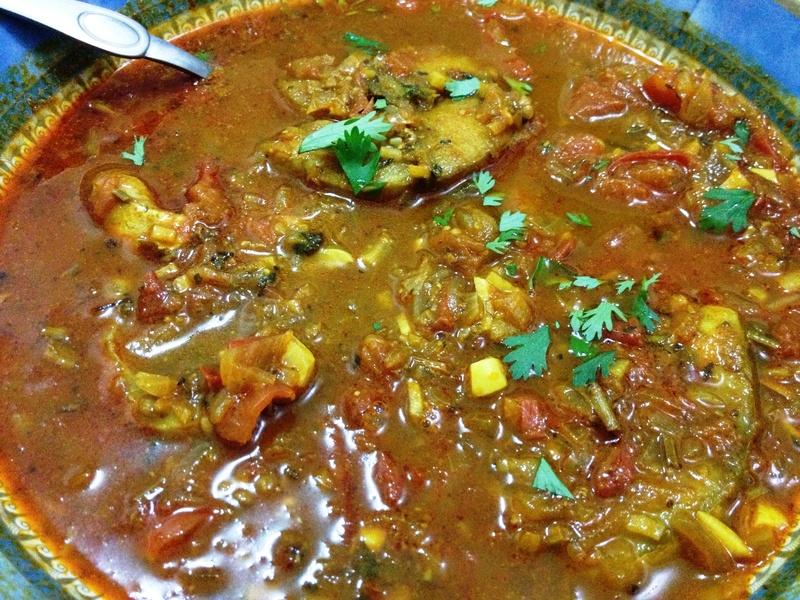 The recipe is from Anglo – Indian cooking expert, Mrs. Bridget White. Heat oil in a pan and sauté till golden brown. Add the ginger – garlic paste and cinnamon and fry for some time. Add the chilli powder, cumin powder, turmeric, sugar, tomato puree and fry till oil separates from the masala. 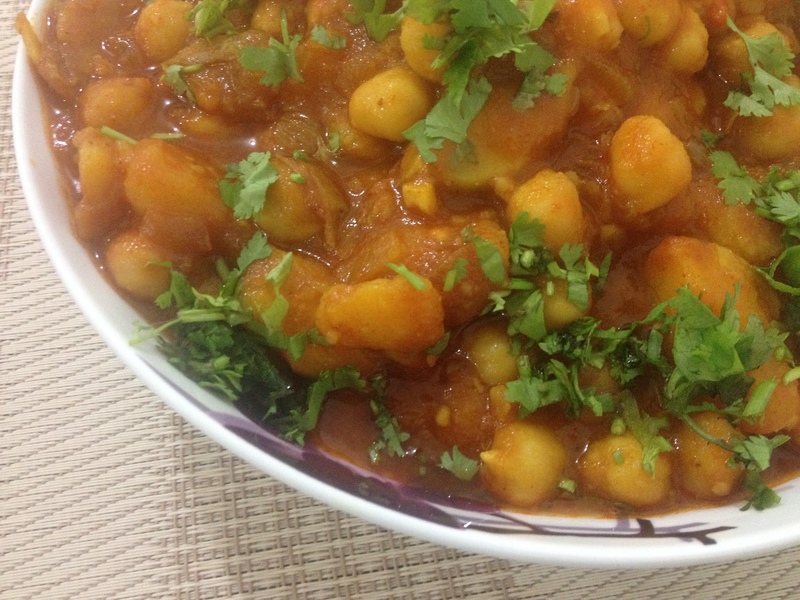 Add the channa, potatoes, vinegar and a little water. Simmer till gravy is thick. Rajasthan, the mere word brings evocative images of a sea of desert, historic mehals, brightly dressed women carrying pots of water on their heads and walking across the landscape. Their awesome clothing, gorgeous flashing jewellery…. I have never been to Rajasthan, but it is on my list of places to go (my bucket list of places I want to see before I die). So what if I am not able to go to Rajasthan, my food will take me there. 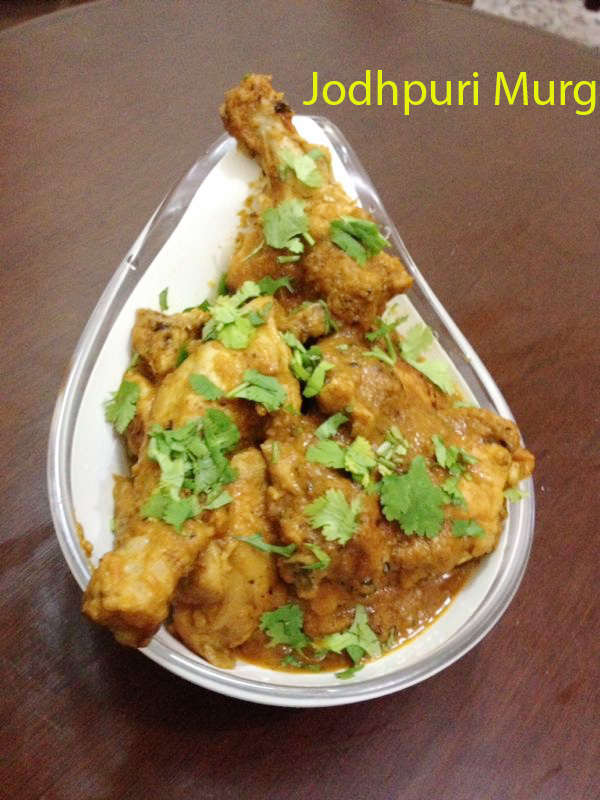 Presenting Jodhpuri Murg. 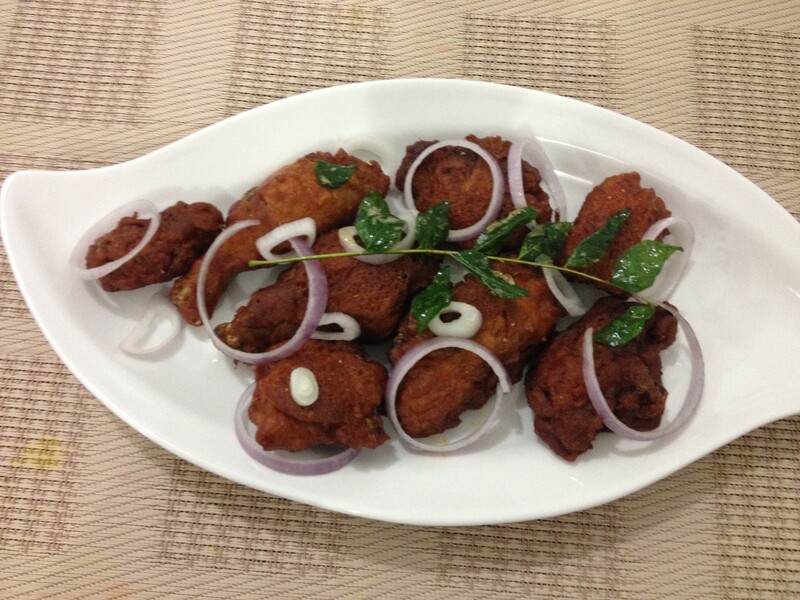 I got this recipe from a group I frequent in Facebook – KFG – Kannur Food Guide. Such inspiring posts and people. This recipe is from Vijesh Ram Mohan. It is simple yet tasty, I hope you will all try it out. 2. Heat oil in a pan & add whole spices to it,allow them to crackle. 3. Add chopped onions & cook till they become golden in colour. 4. Add ginger & garlic paste,chilli pwd,turmeric,coriander pwd & salt.Cook on low fire for 5 min. 5. 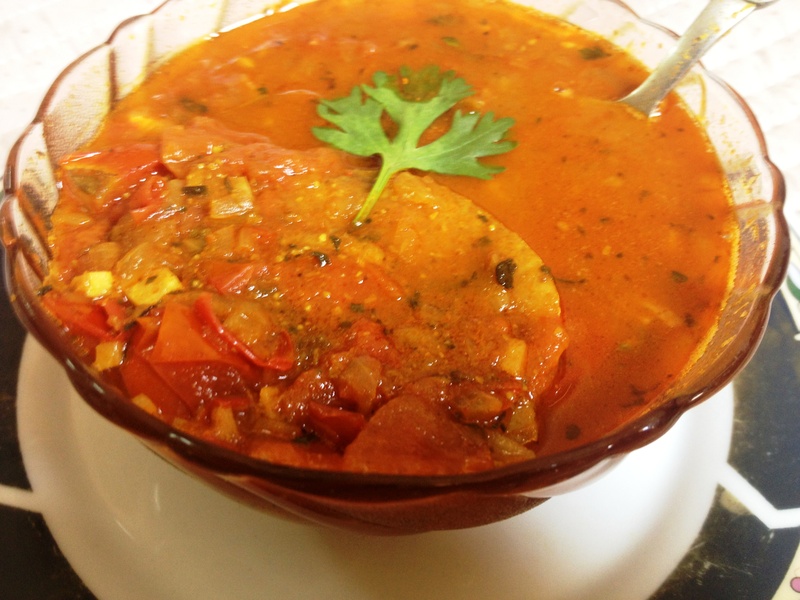 Add fresh tomato puree to the mix & cook till masala is done. 6. Heat some more oil seperately in a kadai & saute chicken with salt,1/4 tsp turmeric,1/2 -3/4 tsp of red chilli pwd.Cook chicken for few minutes. 7. 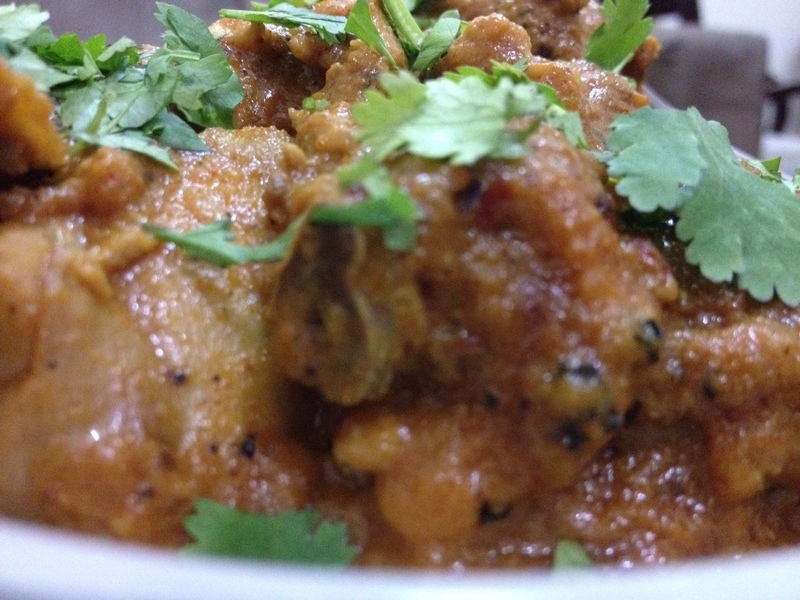 Add masala gravy & beaten curd then cook the chicken on slow fire for 15 min or till it is done. 8. Add garam masala pwd & coriander leaves in the end & serve hot. 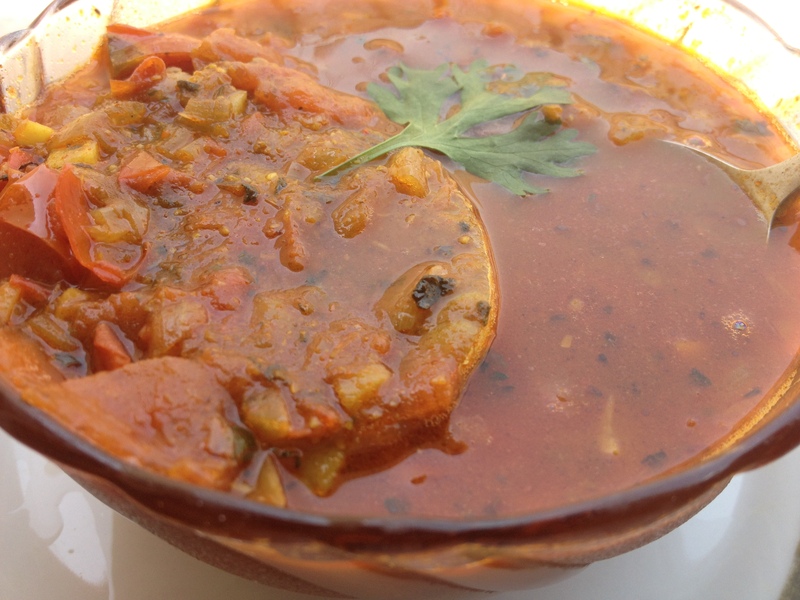 Good Day lovelies…I have for you a super yummy, spicy, maseldaar mutton curry. 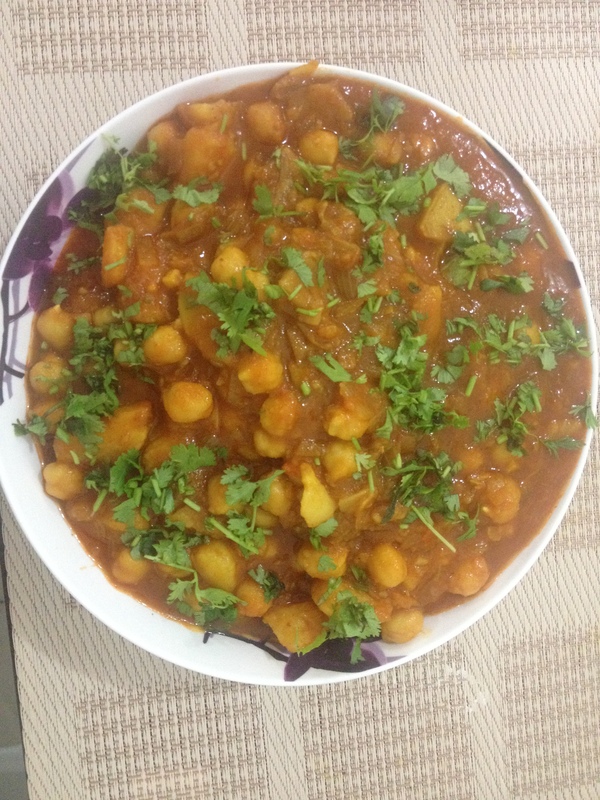 The recipe is from Paramita Bhattacharya from the Chef at Large Facebook group… it is finger licking good. I hope everybody will try it out. 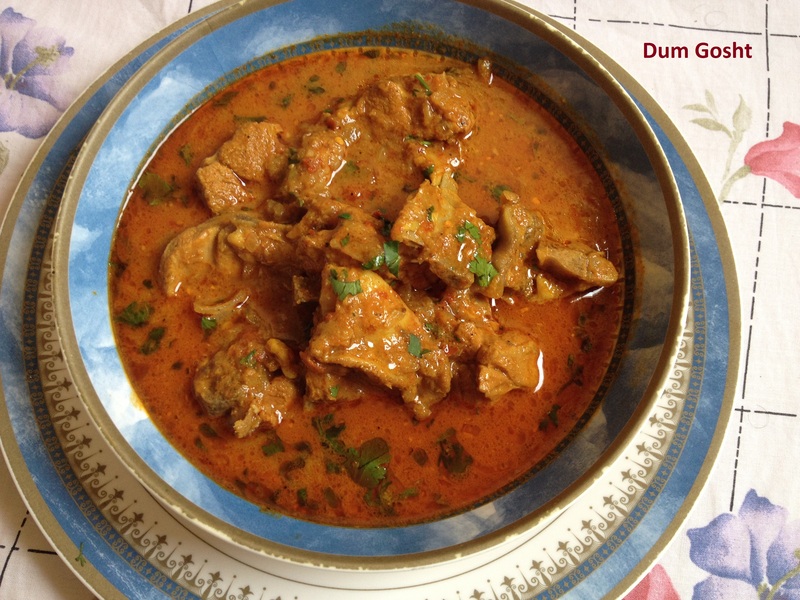 Marinate the mutton with turmeric powder (1/4 tsp), curd, Kashmiri and normal chilly paste, Ginger Paste, Garlic paste, Cumin paste, Coriander Paste, Onion Paste and chopped tomato along with lemon juice for about four hours. Heat ghee/oil in a frying pan, add onions and sauté till golden brown. Keep aside. Heat more ghee in the same pan add all the whole spices and fry for a couple of minutes. 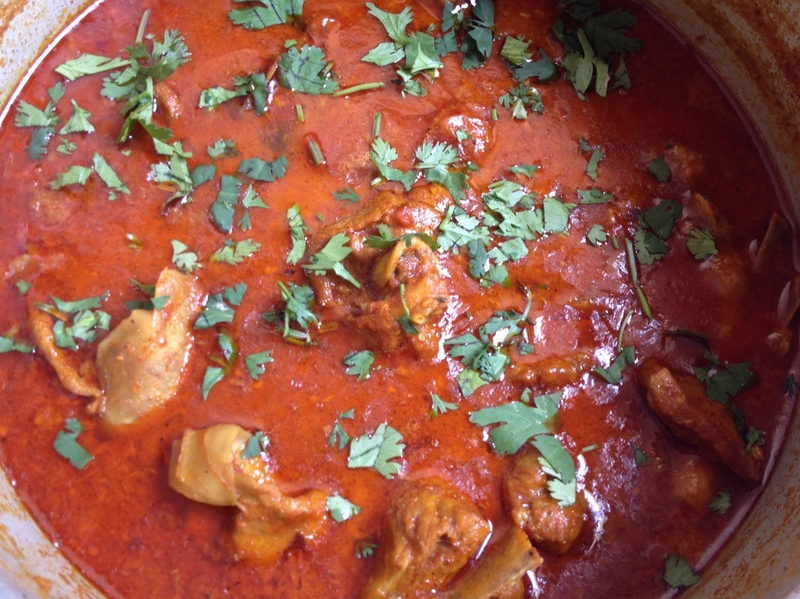 Add the marinated mutton, fried onions, mix well and cook on low heat for 30 minutes without any added water. After 30 minutes add the boiling water to the mutton and let it come to a rolling boil. Cover and cook on low flame for another hour or until the mutton is tender. Add the garam masala and take it off the flame.